**Note: St. Mark’s Anglican Lutheran Church is at the Corner of Third and Easy Street. A change has been submitted to Google maps. The map will be updated when the edits are made. The history of the Anglican Church in Midland dates back almost to the founding of the town itself. Anglican services were held in private homes from 1872 until 1878 when the Holy Trinity Church opened its doors at the corner of Elizabeth and Queen Streets. In 1881 the Synod of the Diocese of Toronto purchased lot #3 on the East side of Third Street, right next to lots 1 and 2 already owned by Rev. Jupp. 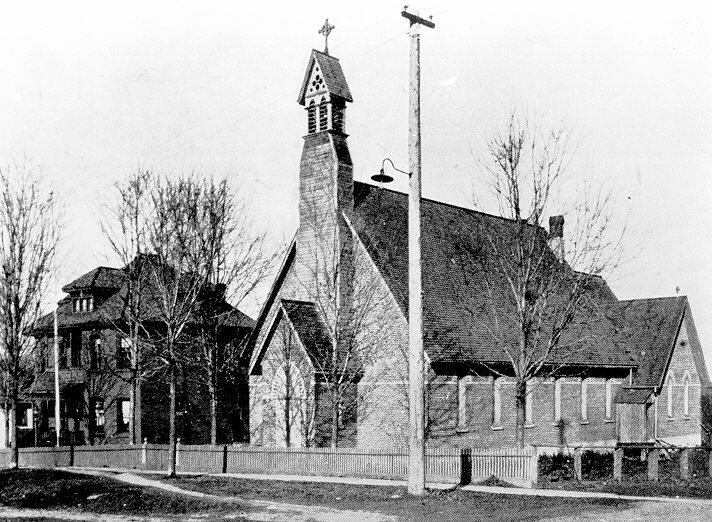 St. Mark’s was built in 1883 at Jupp’s own expense, but Holy Trinity remained the primary Anglican Church in Midland until 1887 when Jupp deeded St. Mark’s to the Diocese of Toronto. At this time Rev. J.A. Hanna, incumbent at Holy Trinity and Good Shepherd, became the first Rector of St. Mark’s Anglican Church.